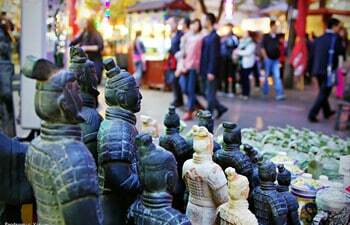 Visiting Xi’an by private car or joining in a small group to visit Xi’an is the most popular choices among the normal tourists. While it is not the best way to experience local life. And due to the convenient public transportation to major attractions in and nearby Xian, taking shuttle bus or Metro is becoming the welcomed choice for some tourists. Bellow are the Xian tour itineraries by public transfer we designed for these travelers. 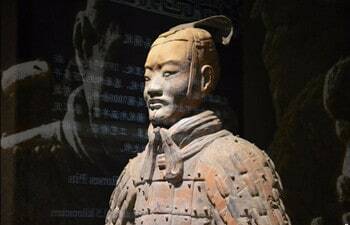 This one day tour with private guide covers City Wall, Small Wild Goose Pagoda, Xi’an Museum, Muslim Quarter, and Great Mosque. Our local guide will company you to visit the spots by public bus. If you want to explore the city in a local people’s way, please just try it! 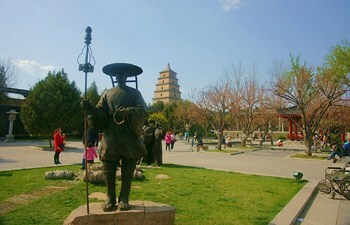 This one day tour with private guide covers City Wall, Big Wild Goose Pagoda, and Shaanxi History Museum. Our local guide will company you to visit the three spots by public bus. That itinerary is a great way to experience local life. 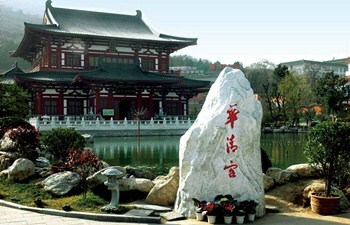 With company of our professional guide, you will take the round way bus to visit the Terracotta Warriors and Horses. That is an excellent way to experience more of daily life in this city. 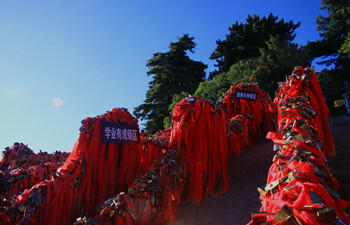 Standing on top of Mt Huashan to overlook clouds and challenge ones courage in some dangerous spots of the mountain are the dream of many young visitors to Xian. Taking a fast train from Xian to leave your footprint on the mountain top.